Calculates risk of an untreated ocular hypertensive of developing glaucoma within 5 years, based on the work of the Ocular Hypertension Treatment Study. This calculator is designed as an aid and is not intended to replace clinical judgement. 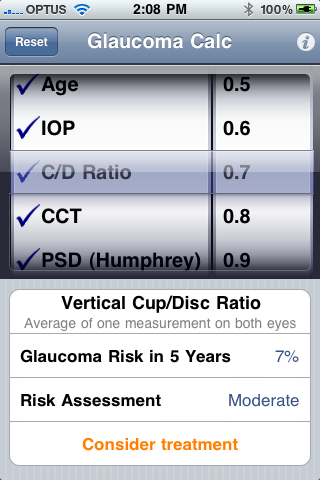 Validated prediction model for the development of primary open-angle glaucoma in individuals with ocular hypertension.